Oh my gosh, I just love, love, love this time of year when the magic of Christmas is sprinkled all around us like fairy dust! And, of course, the cherry - or star - on top of the Christmas tree has to be the Twilight Markets in Caloundra. These Twilight Markets are only held at special times of the year, as everybody knows, and what better special time of the year, than Christmas and the summer holidays. 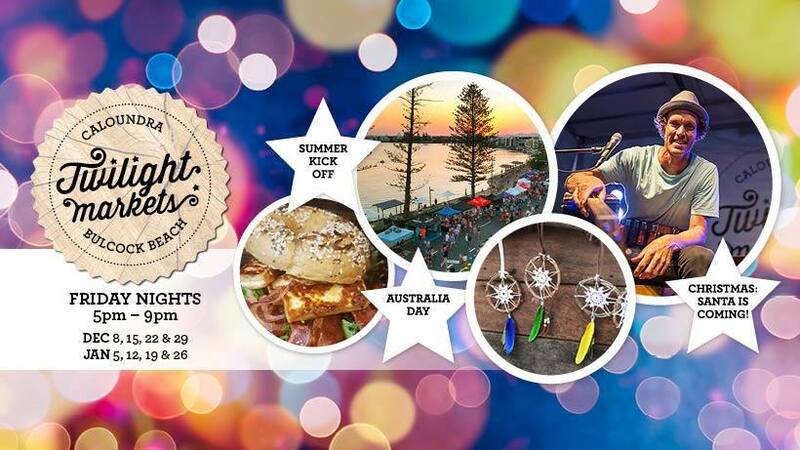 During the Christmas and New Year holiday period, the Twilight Markets Caloundra will be on EVERY Friday night for eight whole weeks right up to and including Australia Day! The Twilight Markets feature more than one hundred totally unique stalls with everything one can imagine - street food, gourmet sweets, fashion, jewellery, fun activities for the children, live music, street performers plus so much more. 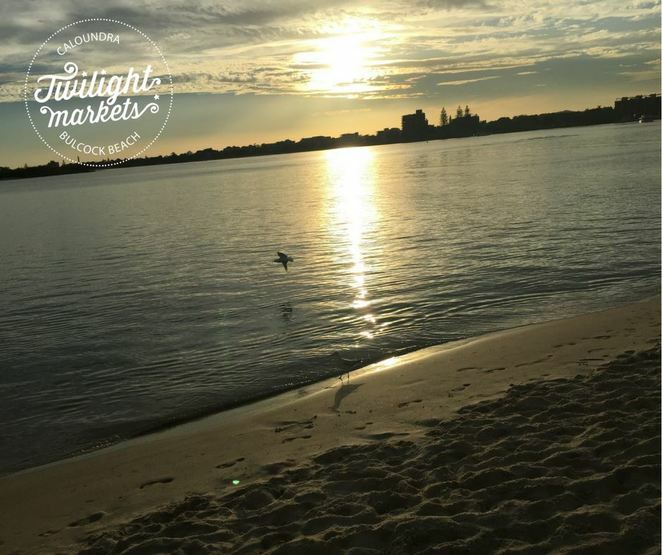 Experience a superb night out with friends and family on Bulcock Beach Esplanade. 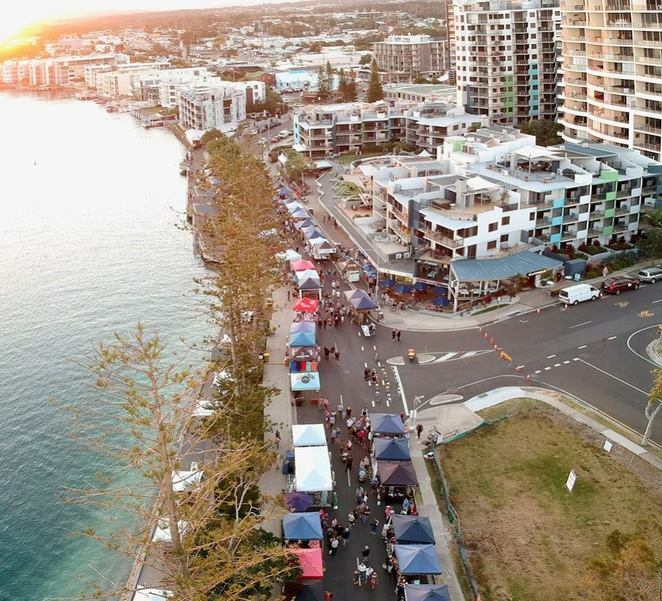 Make sure you get there early to catch the magnificent sunset over the spectacular backdrop of the Pumicestone Passage; perhaps have a swim, a laze on the beach and then venture on to the markets for a spot of shopping under the stars. The subtle aromas of food wafting through the breeze will definitely entice you to stay for a bite to eat! Applications for stallholders are already open - to apply for your opportunity to be part of these special Twilight Markets - please click here. 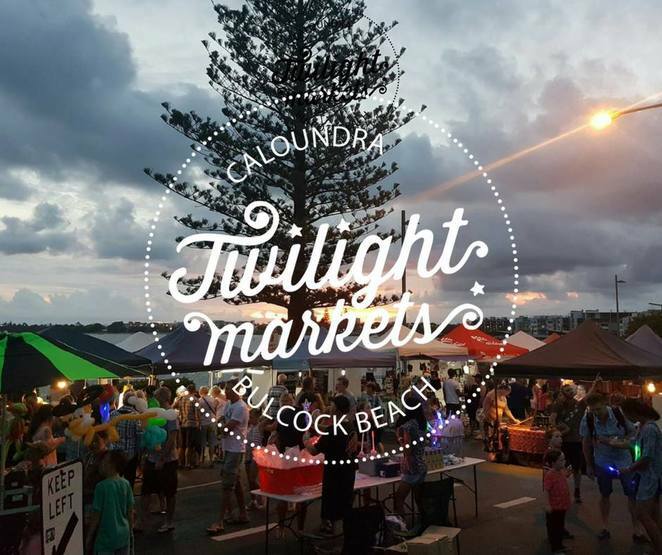 The Twilight Markets Caloundra have plenty of Friday dates, so whether you're just starting your Christmas shopping (that's me!) or wanting to stock up on some totally unique stocking fillers, or just to soak up the ambience of night-time shopping, the Twilight Markets in Caloundra is the special location to head for. I'll definitely see you there! Family visiting next month and this is definitely on our to-dolist... for secret Santa gifts!